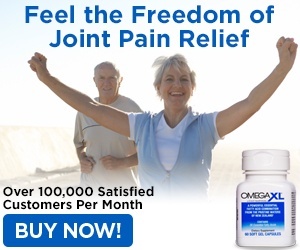 OmegaXl helped with my brain fog and join discomfort. I take two capsules daily. I recommend it to all that have a need for it. I store my capsule bottles in my refrigerator. I take one in the morning before I start my day and one at night after dinner. I now feel sharper and hove no discomfort in my lower back and knees. I am now able to follow my exercise and yoga routine with ease. I have shared this knowledge with all my loved ones and would encourage all to give it a try. This is a natural substance with no side effects. Review #1115362 is a subjective opinion of User1115362.